Hybrid DTH STB Lanched By Airtel, to have 500+ channels, Netflix & YouTube preloaded. 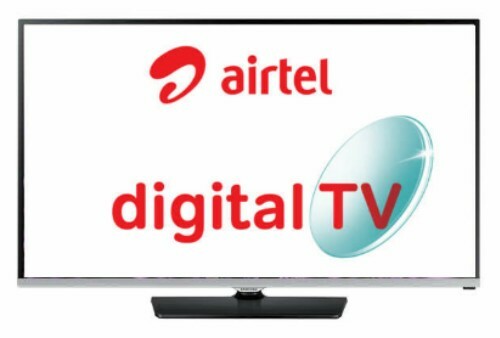 Airtel Digital TV, the DTH arm of Bharti Airtel, launched ‘Internet TV’ – India’s first hybrid STB, powered by Android TV, which brings the best of online content to the TV screen along with a bouquet of over 500 plus satellite TV channels. This marks yet another industry first from Airtel that has been at the forefront of innovation in the DTH category. As reported by www.indiantelevision.com recently, Airtel ‘Internet TV’ transforms any TV into a Smart TV and enables users to switch seamlessly between online and linear TV content with a single device. With consumption of online content within Indian Homes increasing rapidly, Airtel ‘Internet TV’ will offer customers a superior experience by enabling them to enjoy their favourite content on the biggest screen in their Homes. Customers can now stream and cast their favourite content directly on to their TV as well download their favourite apps and play games. All of this along with the best satellite TV experience with 500 plus satellite TV channels offers the complete Home entertainment experience. Airtel has also rolled out bundled offers for its home broadband customers. ‘Internet TV’ Customers just need to register for myHOME on MyAirtel app and can avail upto 25GB additional data on their Airtel broadband account every month.